This is the ultimate brace that helps in effective healing of your shoulder's soft tissues. 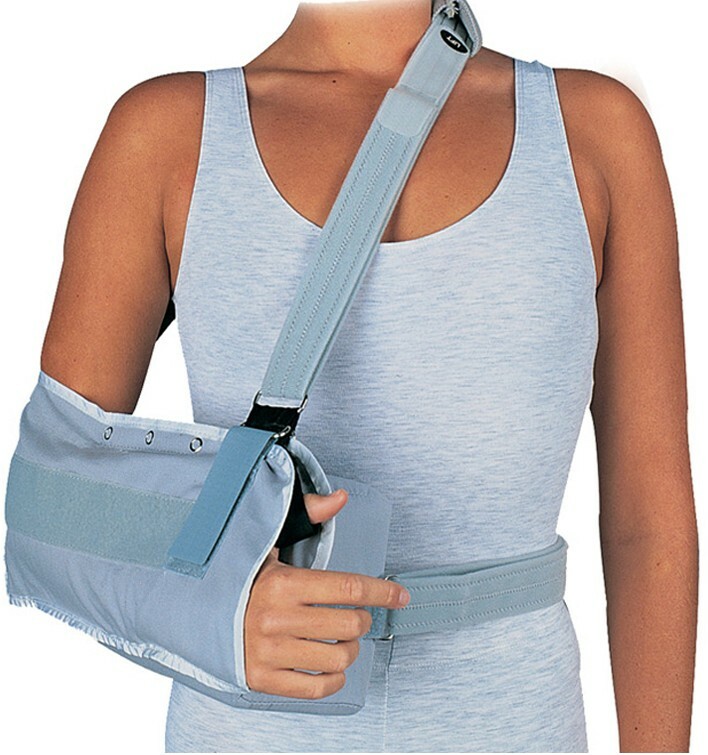 The Donjoy UltraSling Shoulder Brace provides immobilization for rotator cuff repairs, capsular shifts, Bankhart repairs, Glenohumeral dislocation/subluxation, and soft tissue strains/repairs. This model is one of Dj Orthopedic's most popular shoulder products because of how it keeps the shoulder in a natural resting position to allow for effective healing of the shoulder's soft tissues. The Donjoy UltraSling keeps the shoulder in 10 degrees of abduction away from the body to allow for airflow to the axillary region, and to reduce possible secondary infections. Easy-open front panel encourages elbow exercises. Encourages effective healing by allowing the shoulder and arm to remain in a neutral position. 10 degrees abduction pillow allows axillary air exchange to reduce the risk of secondary infections. Sizes: Measure elbow crease to base of the index finger for correct size. Is the UltraSling usable on either right or left arm, or is the sling made for the specific arm? Yes this product can be worn on right or left. Hand wash in mild detergent and let air dry. How important is the sizing? I am finding the medium to be most uncomfortable. I measure 11 1/2 inches from elbow to finger. It just seems to swallow me and am having trouble keeping it in place. But don't want to spend additional funds on a smaller one if the fit is not important. Here is the size chart for the DonJoy UltraSling Shoulder Brace, based on your measurements, you need a size small sling. how do I clean and deodorize bolster? The pillow cover is removable. Hand wash with mild detergent and air dry. Febreeze the pillow.